Easter is just around the corner. Today I am sharing some sweet attire for boys and girls, including some brands you might not have heard about before that you will love! 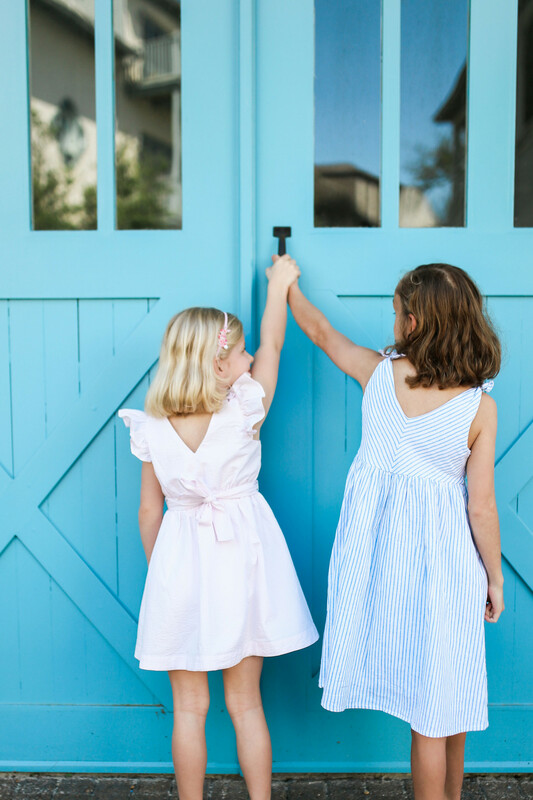 I have had SO many readers tell me that they have bookmarked our Classic Children’s Clothing Guide so they can always reference our favorite brands. Definitely browse that list to see what some of our favorite companies have for Easter. Today I am highlighting a few of the brands on that list. 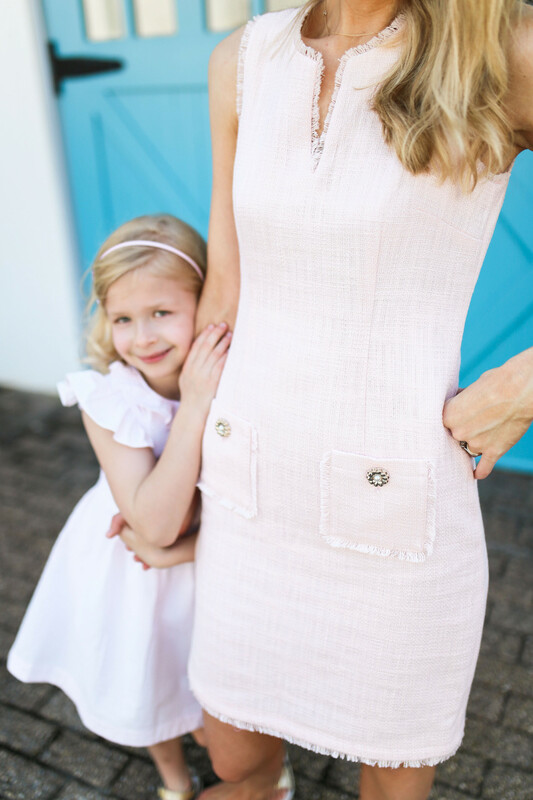 The darling pink seersucker dress with the tied bow in the back is from J.Crew Factory ! It is perfect if you want to match siblings because it comes in size 2 -16 (and comes in blue!). 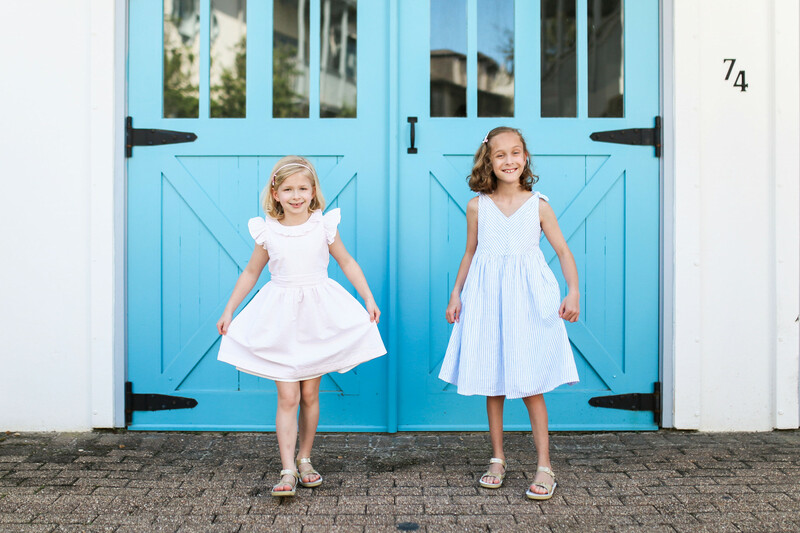 The blue swing dress on the right is from an exclusive brand to Amazon called Hope and Henry Kids. Darling, right?? And so affordable. They have a lot of things for boys as well that go up to size 14-16. These blue seersucker pants would go well with the dress. Wonder Nation at Walmart has been one of my go-to brands lately for classic Children’s clothes. This set from their collection comes with pants, a shirt and jacket, perfect for little boys. They also have great staple dress shirts for little boys like these pattern ones and these solid colored ones. Walmart is also a great destination for inexpensive shoes for growing feet. I love these and these for little boys and I picked up these for my girls. The pink J.Crew Factory dress coordinates with my pink tweed dress from this post. 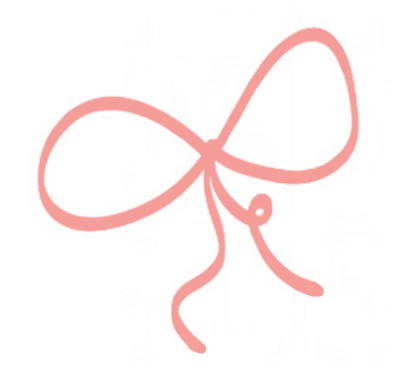 Did y’all see this darling bunny headband in our Easter Basket filler idea post? So perfect for Easter baskets and then she can wear it on Easter morning. 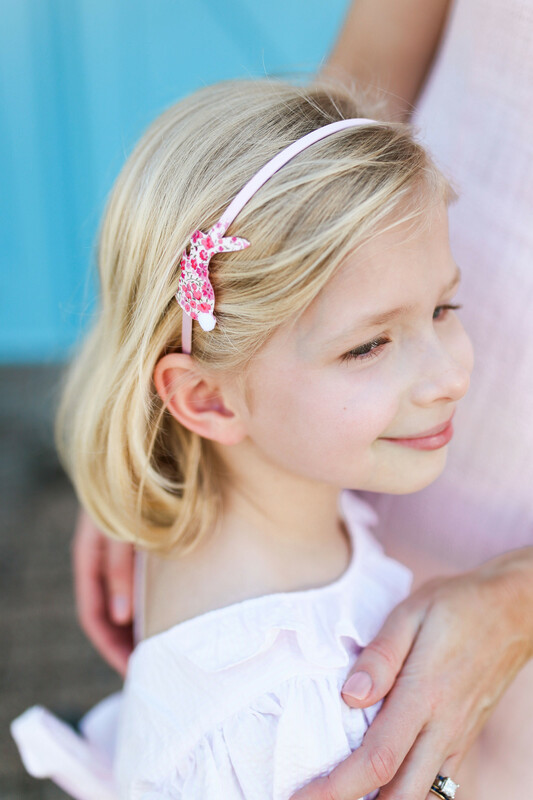 It’s from Petite Posies and they have so many darling barrettes, bows, and headbands for babies and little girls. And for all my friends looking for tasteful dresses for tweens you have to file away Busy Bees Kids. 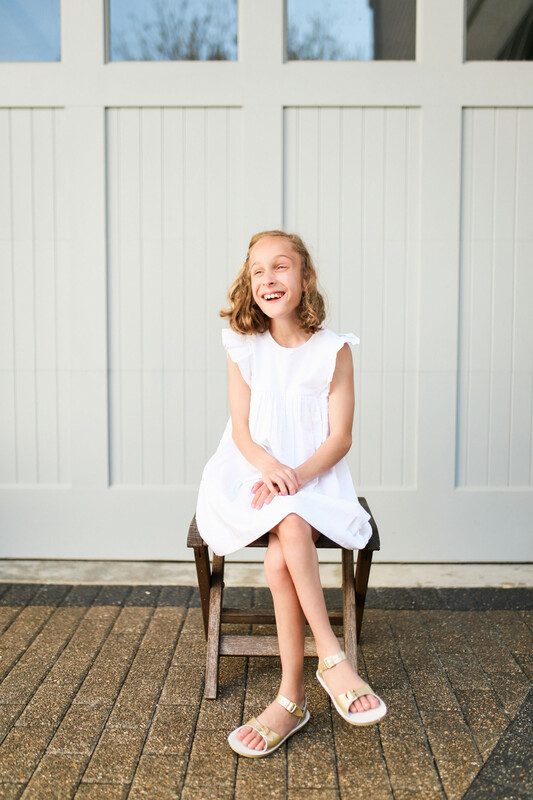 They have the sweetest dresses for girls and tweens. These white dresses are perfect for the beach and all spring and summer long. It comes in coordinating baby sizes, little girls, and big girls (up to a size 16!). Don’t miss their darling boys’ clothes as well. So timeless! This Peter Pan collared shirt with these shorts and knee highs would be adorable. Y’all know I love Smocked Auctions. 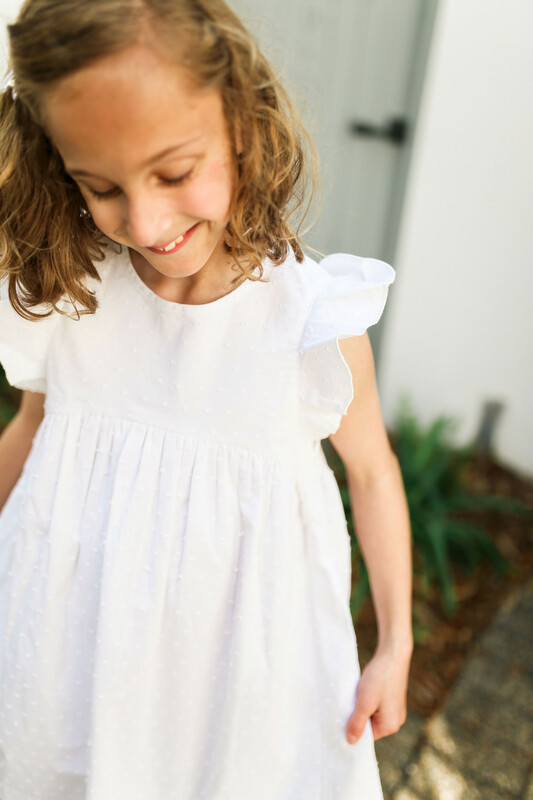 Next week I will be sharing a post about darling dresses from this affordable classic brand. But know that you can buy shoes onSmocked Auctions as well. These gold Sun Sandals will get my girls through the summer. Thanks for the heads up about Hope & Henry! Darling clothes and really affordable prices on Amazon! Have you purchased anything? Can you speak to the quality? Yes! So happy with the quality– It feels like a thicker linen. Very comfortable and machine washable!